A headless guitar with great weight balance and comfort. 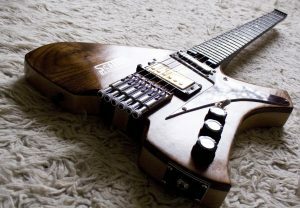 Inspired be the great Klein Guitars, for weight balance. 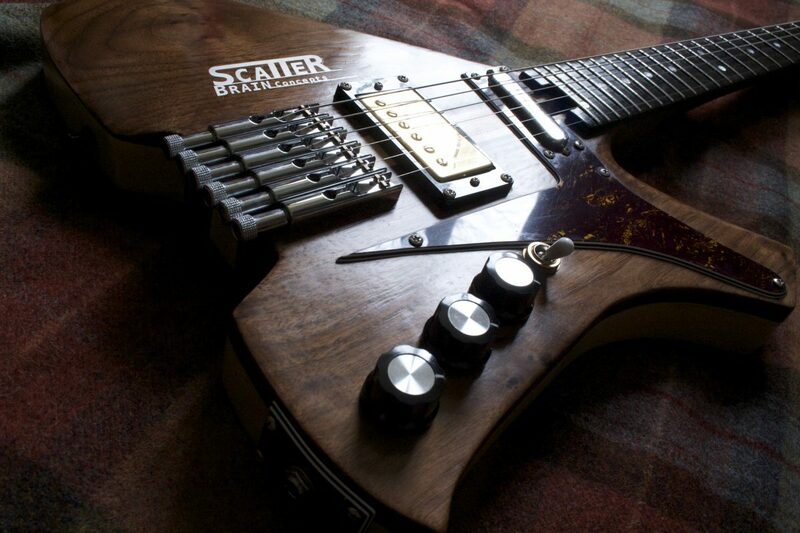 SBH combines brilliant, ergonomic design with a solid through body construction to create a guitar, both visually and sonically striking, with an effortless playability! While a little bigger and heavier than our SB3 or SB6 models this guitar is perfectly weighted and still very back friendly, with contours optionally added for heightened comfort. This design was originally a commissioned design and has been used as a hybrid guitar geared towards multiple playing styles, but works exceptionally well as a short scale 23-24″ guitar, as a very jazz/flamenco friendly solid body, well suited to long studio sessions and extended sets!